Rosemary Margan, former television and radio presenter in Melbourne, has died at the age of 80. 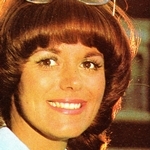 Margan was a water skiing champion, winner of six national titles, when she started her media career as a weather presenter at Melbourne’s GTV9 in the mid-1960s. She presented the weather at Nine for almost a decade — mostly by ‘drawing’ the weather and temperatures from standing behind a clear perspex screen. But despite the general impression that she was drawing the temperatures backwards so that they would appear in the correct order to viewers, it was later revealed that she was drawing the numerals as normal but the picture was flipped. 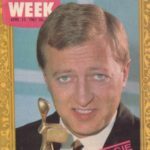 Margan was also a regular hostess at the TV Week Logie Awards in the 1970s, handing out the coveted statuettes to recipients as they came on stage. She also won two Logies herself for Most Popular Female Personality In Victoria — in 1969 and 1970. 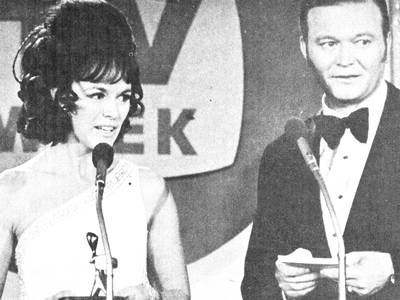 Rosemary Margan and Bert Newton at the TV Week Logie Awards, 1969. 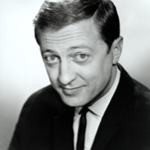 She left Nine in 1974 to have daughter Cathy but would later continue to appear on television presenting commercials on The Graham Kennedy Show. She was inadvertently caught up in controversy when Kennedy decided to interrupt one of her commercial presentations with his imitation crow call — emulating a certain swear word and which later saw Kennedy banned from appearing on live television. Margan was not phased by Kennedy’s play on words, largely because — as she admitted many years later — she was an innocent “country girl” and not familiar with the obscenity that Kennedy had snuck into TV folklore. During the 1980s Margan continued to present television commercials and appear on shows like Beauty And The Beast, before moving on to radio. She presented live read commercials on 3AW‘s morning show hosted by her brother-in-law Neil Mitchell. It was a role that she conducted for nearly 20 years before retiring in 2007 and moving to the Gold Coast. Rosemary Margan is survived by husband Ross Mitchell, and daughter Cathy Godbold from a previous marriage. Source: Nine News, Herald Sun. TV Week, 5 April 1969, 30 December 1972.